A challenge every new (and seasoned) consultant faces is ensuring a stable source of cash flow. Most consultancy jobs involve hourly or project work which once finished, there is no cash flow from it until another project comes about. This issue can pose a significant challenge in ensuring a stable source of income without a steady stream of clients, which isn't an easy thing to achieve. Some clients would drop off after a single project, leaving a gap if you didn't have another client at the same time. This point is where the consultant retainer comes in. 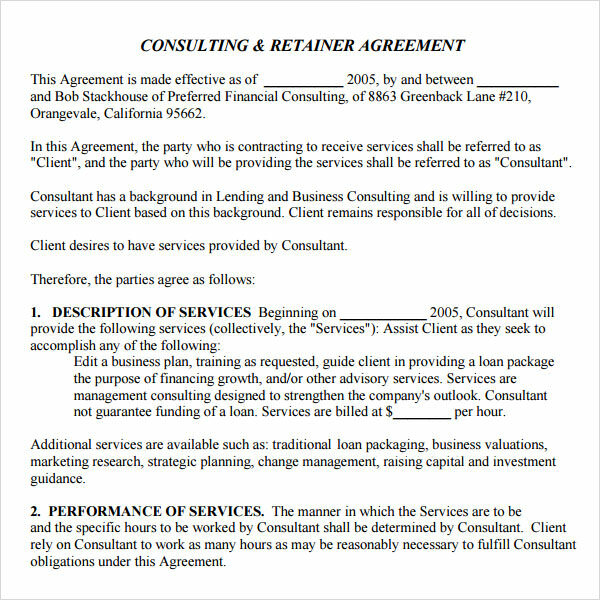 When you set up a consultant retainer agreement, you bill your clients per month. The invoice is broken down to a defined number of hours that are expected to be worked that month. You can also charge monthly for access to your expertise or services as a subscription fee. Working with a consulting retainer is a very effective pricing strategy you can use for your business. It also benefits your clients since you will be committed to ensuring they get the best from you, instead of you grinding your energy trying to find your next project. Having a retainer model ensures that you have a stable relationship with the client. 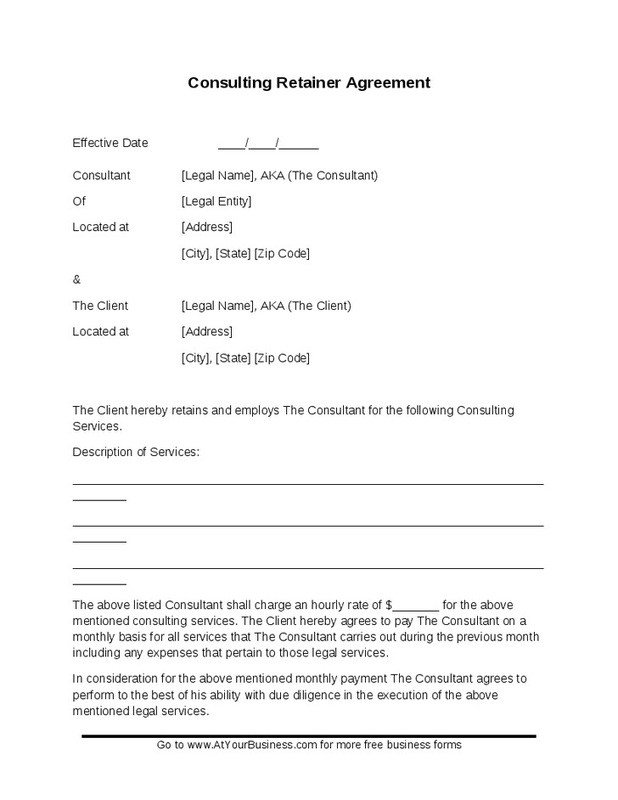 Depending on your consultant retainer agreement and the timeframe that was specified, you will be assured of a particular amount of income each month from that particular business relationship, and the client is guaranteed access to either services or expertise (where you do specific work for them). Once you have the base level of income from particular clients, you can continue to add to your list of clients, and as you model the trusting business relationships that have worked with your previous clients, your base income will continue to grow. What will you be working on, month to month? How will the work benefit them? What value is created as a result of the ongoing work? The better these questions are answered while focusing on the value you bring the client, the more likely the clients are going to accept it. In this model of consulting retainer, the client pays a retainer to access your knowledge, expertise, and experience. More seasoned consultants favor this approach. Unlike pay for work model, this model doesn't require you to trade actual hours for dollars - the time put in is directly connected to the money you are making. In the pay for Access consulting retainer, the client could even pay up to six months upfront to be able to access your expertise. Your consulting isn't tied to the deliverables that are specified in a particular contract. This model will only work if you already have a trusted relationship with the client, having worked on at least one project and developed an enjoyable working relationship. The client will agree to this retainer model after they have seen the value you bring to their business, and the need for your constant access is justified. You are advised to offer a consulting retainer only after a successful consulting project – not before. The client must have enjoyed working with you. Only then will the client appreciate the value your continued influence on their business will have, either through actual work or access to your expertise.